Hello everyone. A quick question, what is your most popular post on your website? In this post, I am going to walk you through a straightforward process to help you learn from your most popular post and create more successful blog posts. Better performing posts will drive more traffic to your website, which in turn should generate more leads and sales for you. I have assumed that you have an effective conversion process once visitors reach your site. Which is your most popular post? You should know which one it is but just in case you do not know, here’s how to find out. On the right of your screen you should now see a list of your most viewed content for the current week. 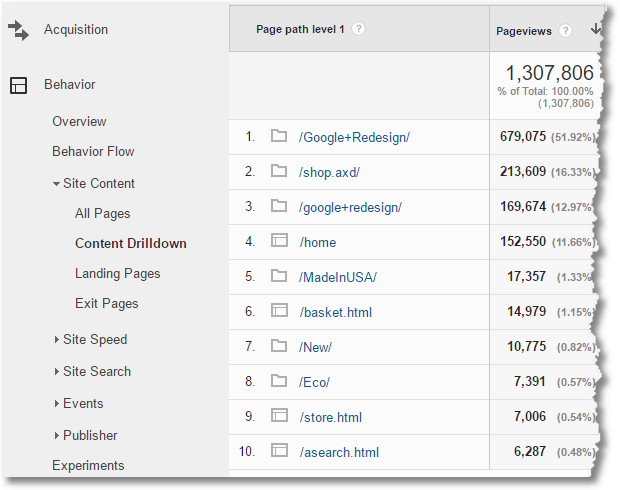 Note – This image is not from our website’s Google Analytics report. To find out the most viewed content of all time ensure that you change the start date in the top right corner to the date that analytics were first added to your site. It should now be clear which is your most popular post. What made this post so popular ? Was it the subject matter? Was it the blog length? How about the use of imagery or video? In answering these questions you will have a template for future successful posts and you have your own benchmark to measure future posts against. If you like this post you will also like, How do you Publish Content Consistently? This is blog post post number 449. Affiliate Disclaimer: If you click through and purchase from the Bluehost link on this page we will receive a referral commission.